Author: Murrin, Orlando Set In . . .
Who among us has not dreamed of leaving the rat race behind to follow our heart's desire--and who among us has actually taken that leap of faith? Orlando Murrin, a former journalist and cook, did exactly that when he gave up his life in London to open a gourmet bed-and-breakfast with his partner in southwestern France. A Table in the Tarn is Murrin's intimate account of how he painstakingly transformed the simple 19th-century Manoir de Raynaudes into a celebrated gastronomic destination. Beautifully written and photographed, this cookbook and food memoir includes more than 80 recipes for the Anglo-French dishes that have brought the Manoir acclaim, along with tales of the extraordinary people and gorgeous countryside of the unspoiled Tarn Valley. 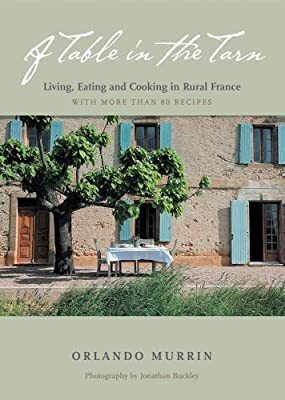 A feast for food lovers and Francophiles alike, A Table in the Tarn is a truly evocative story of life in a rural paradise.